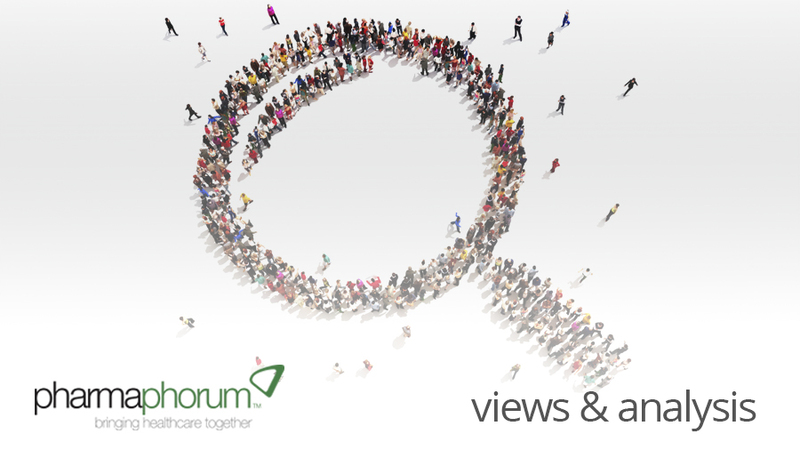 pharmaphorum interviews Shona Davies of MSD on the topic of online physician resources, maximising online engagement and the future of the digital space. Univadis® is a comprehensive medical resource for healthcare professionals, which was launched in 2001 by Merck Sharp &amp, Dohme. It helps physicians to find online medical information and services, which helps them to better manage the care of their patients. Shona Davies of MSD has worked in the digital space for 12 years and has been heavily involved in Univadis®. She speaks with pharmaphorum on the changes she’s noted in this arena, in addition to why she’s so interested in finding out what effects digital will have on underprivileged parts of society. RA: Shona, thank you for talking part. Could you start by describing what changes you have seen in the digital space in your 12 years working within it? Here are some of the biggest changes I’ve seen in my 12 years working in “online” …. -Remembering that I’m from South Africa where the infrastructure was quite behind the times…I would have to say the first big change I have noticed would be the technology. My initial forays online were to Beltel chat rooms on a dedicated chat-machine and I considered geocities a serious upgrade(!). Back then, Newsnet was my main source of information and finding new sites was an exercise in mining “useful links” from sites I visited regularly. I had terrible trouble remembering to bookmark so remembering how I got to places online was not easy. In those days, in order to use the internet you had to understand the internet…how it worked and the technology required to hook you into it. You had to be somewhat of a geek. Nowadays, we have user-optimised interfaces, plug &amp, play wireless networks, internet cafes, mobility…you name it. Anyone with a smartphone can not only get online and consume information anytime, anywhere, but also create and share their own ideas with myriad tools and services to support them! I think that’s fantastic! -The speed at which change occurs has also been accelerating. It took some time for digital to become embedded in our daily lives but in recent years, it has really taken off. The penetration of internet usage into all layers of the population is increasing exponentially with mobility leading the charge. What’s particularly interesting to me is the effect that this will have in underprivileged parts of society where mobiles can sometimes be more accessible than traditional devices. I think it can only be positive and I’m looking forward to having my hopes confirmed in fantastically unexpected ways. -The second big change I’ve seen is probably how organisations have viewed the internet and its usefulness. My first jobs were always working within the IT departments of the companies and clients with whom I did business. Intranets were essentially file repositories and internet sites were put up “because we can”. Real business was done elsewhere and there was no common understanding of what should / could be done with this internet “thing”. If you ask me, this is where the dot.com bubble was born and then burst. People were running around building websites because they knew that they should but not why they should. As time has gone by and we have seen what a powerful communication mechanism and consumer tool the internet is, organisations have shifted resources and skills to incorporate this new engagement channel as a more important part of current and future strategy and operations. In many large multinationals, IT departments are struggling with this shift but I have no doubt this will resolve itself in the next 12 years! RA: Could you please tell us about the Univadis® programme? SD: Univadis® is an online resource providing medical news, educational content, point-of-care tools and services to health care professionals in 17 languages, free of charge. We have approximately 1.7M registered users in over 37 countries and we have sister brands in the US (Merck MedicusTM), South Korea (MDFaculty) and elsewhere. In the last 11 years, we have grown from being a small site called My Yahoo! for Physicians, to being a truly global force in online medical information and services and we aim to be the number 1 service in every market in which we operate within the next 5 years. We deliberately exclude advertising related to pharmaceutical product and brands, as our mission is primarily to help doctors improve patient care. RA: What benefits do such portals offer? SD: To HCPs, the advantages are entirely in the value of the service that we provide them for no cost. We make it easy for HCPs to find the medical information, education and point-of-care tools that they need in their daily practice, all in one place and tailored to their own individual needs. We help them to expand their expertise and support their patients every single day. We save them the hassle of searching and verifying the quality of the information they find by bringing them unbiased content from world-leading medical publishers and providers that they trust. We save them time. For today’s busy HCP, that has an enormous value at a personal level. • Firstly, we’ve always had a reputation for providing free, high-quality, non-promotional medical information and education simply to help to improve patient care. The Merck Manuals are essential medical reference textbooks well known and highly acclaimed worldwide, we’ve been publishing those manuals for over 118 years. If you want to be a part of education in the 21st century, you have to be online…and so Univadis® expands our tradition of providing world-class information and services into the online space. • In addition, the relationship that we develop with each HCP that engages with us is vitally important. We can expand our digital reach in an open, transparent and collaborative way that builds trust with each individual. We put the control in their hands – they tell us how and why they want to communicate with us and we listen. With Univadis®, we have a very effective and efficient model for communicating with customers outside of a commercial context as well as gaining their permission for product communications. We recognise the need to look at the customer holistically – as a medical professional who needs to know what drugs are available for their patients AND where to find the support that they need day to day. That broadens our relationship with HCPs and demonstrates how valuable a partner we can be. It’s the basis of our customer engagement strategy and it underlies everything that we do with Univadis. RA: What key advice would you offer on designing a website to maximize engagement? SD: Talk to your users. It seems a fairly simple and obvious thing to say but too many people don’t do it. When designing an online product, many people will rely solely on market research reports or on their own opinion of how the site should be designed. This is a big mistake. You have to remember that you are not your user and talking to them directly is absolutely crucial to designing an engaging product. Too often we as an industry have focussed on the type of information that we want our customers to see and concepts or designs that we like. We have not spent much time asking whether or not the user actually wants to see it, whether it is something that the user can relate to or engage with or even if it’s something that a user can understand. Finding a balance between achieving your objectives and satisfying your users’ needs is the fundamental issue to address before you spend a cent on development. User-centricity is a core principle, which we use at MSD to ensure that we have the right product to suit our users’ needs. Essentially, it means exactly what it says on the tin. The core of your product design must be your user. In addition, the design must touch on every single aspect of your product and your business. • Unique selling proposition – do you provide value to your customers and is your offering competitive and differentiating? • Messaging – do your target users understand what benefits they can get from your offer and do they relate to them? • Product Design – can your users interact easily with the product that you’re developing? • Content – do your users need it? want it? like it? • Execution– is it efficient, modular and scalable? • Supporting processes – are you set up to be able to manage customer support, back office administration, procurement / finance, organisational models, regulatory frameworks? Most importantly, user-centric principles and outcomes must be demonstrably tested with real users in real life to be valid. It takes a significant amount of time and requires an open mind but is 100% worth the effort. RA: What is the danger with relying too heavily on emerging technologies? SD: There is nothing inherently wrong with emerging technologies. I strongly believe, however, that you only need to leverage what makes sense for your audience. If someone has come up with a way to network the internet directly into a user’s brain…well, that’s nice. You don’t care unless your customers care. If you’ve invested the time and effort into a solid user-centric design, you can afford to wait and see what happens with the latest trends. Some will fail – and you will have done the right thing not to expend your resources in those areas – and some will go the distance. At which point you have the luxury of not only testing with your existing users but also of learning from the mistakes of others. Focus, prioritise and remember why you’re doing this (and who for). RA: What changes do you expect to see in the digital space over the next five years? SD: We’ll continue to see an increasing integration of online and digital technologies into our everyday lives. Ambient Intelligence is an interesting topic for me. It looks at how people are becoming increasingly immersed in and connected to the digital environment at all times. And not always consciously. The applications for this kind of technology are myriad – remotely monitoring biometrics for patients with chronic or acute health conditions for example. Like any innovation, it can be used for both positive and negative purposes and I’m interested to see where this will go as well as how society will react to it. RA: Thank you for your time. An update to this interview can be found in the article ‘What’s new on Univadis?’ here. Shona is originally a chemist but discovered early on that she didn’t enjoy researching whether acid rain had a deleterious effect on the reproductive efficacy of earthworms. And the wine farms weren’t hiring. So she got a job working for Accenture with projects for the South African National Treasury &amp, De Beers. There, she was introduced to the world of “online” and hasn’t looked back. Shona has spent 12 years working in the digital space across many industries and over 8 years on the Univadis programme. Univadis is one of the world’s largest online HCP communities, operating across 37 countries with over 1.7m members. Also, she loves her job. True story. What changes do you expect to see in the digital space over the next five years?